The TamerX EDC-2 intake elbow is made of aluminum . It is TIG welded and pressure tested to prevent any boost leaks. It features two 1/8" NPT bungs. (Used for boost gauges) It also includes a high-temperature o-ring. This kit includes both hot and cold side direct-fit replacement pipes along with 4 ply silicone boots and stainless steel clamps.. The 3" diamater pipes are made of aluminum with a polished finish and will not crack or break. (as the plastic OEM pipes are prone to do) These pipes also improve air flow and provide a higher degree of heat dissipation. 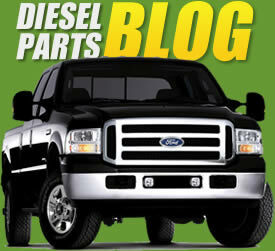 Our kit fits all 2003-2007 Ford Trucks with 6.0L Powerstroke engine.